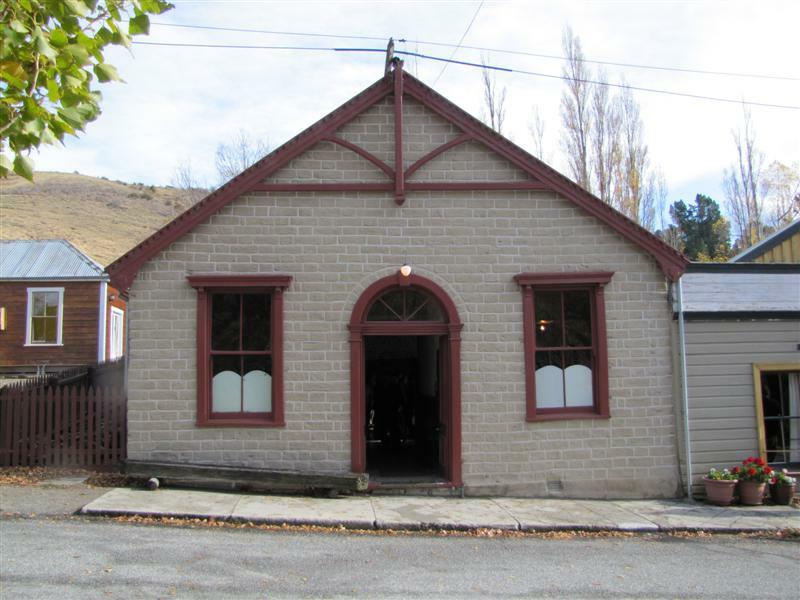 There is a place buried in the depths of the Maniototo district of Central Otago that has more ghosts for its size than any other place in Australasia. Practically lost to history, St. Bathans is unique. Technically it is really just a settlement, but it is truly an enchanting place and is becoming increasingly popular with tourists from around the world. At its peak in the 1860s, there were well over 2000 residents but today, only 6 people live in this tranquil gem of a settlement. St. Bathans is not easy to find. Its isolated location on the edge of the Maniototo Plain, in a gully below the Dunstan Mountain Range, only adds to the special atmosphere you experience here. A narrow, winding feeder road joins it to the ‘Pig Route’, one of two roads that connect the inland towns of Central Otago to the east coast. ‘Maniototo’ means ‘bowl of blood’ in Maori. Blood! Ghosts! Isolation! St. Bathans really is a different kind of place. There used to be 19 hotels lining the main street of St. Bathans. 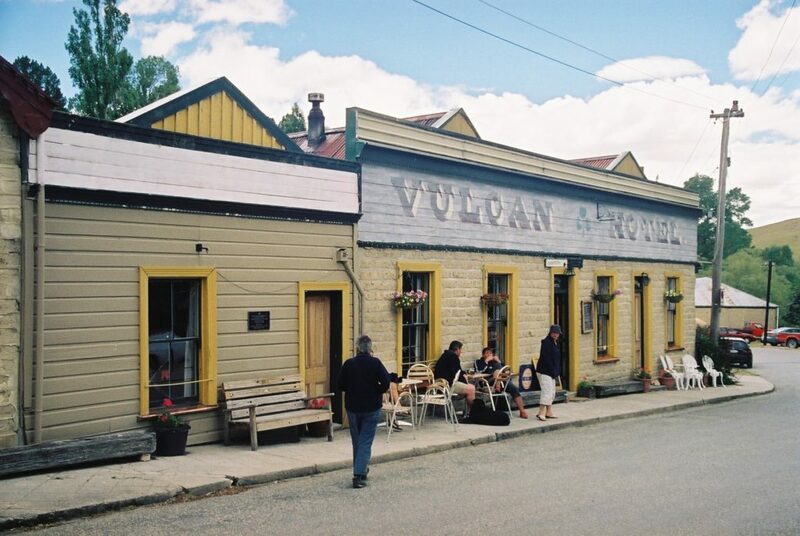 The Vulcan Hotel is the only one to survive and is one of the best known historic buildings in the South Island. This quaint little hotel is regarded as ‘New Zealand’s most haunted pub’ and is famous for the presence of the ghost of ‘Rose’. She was thought to be a prostitute who was murdered in bedroom number one by a jealous customer who was not happy with her ‘entertaining’ other miners in town. To this day, her ghost causes guests to have sleepless nights in that room. I have stayed in the Vulcan on a number of occasions but never in room one. On one stay, a member of our crew who didn’t believe in the supernatural opted for the small haunted bedroom. In the morning he blurted, wide eyed to us that he felt a chill pass through the room in the dead of night and on waking, he noticed the framed picture on the wall was upside down. It has been noted that ‘Rose’ only haunts men. Over the years, guests have reported hearing groaning in the hallway. Kettles have boiled without being turned on, and doors lock themselves. On one of my visits, the barman reported a full bottle of whisky crashing off a top shelf. A transparent form surrounded by a white mist has also been seen reclining on a couch in the dining room. Originally called the Ballarat Hotel, the Vulcan was built of mud brick in 1882 and when I last stayed there, it had only four guest rooms. During the 1960s and 70s, the historic hotel was a popular lunch stop for commercial travelers working in Central Otago. With the development of the nearby Otago Central Rail Trail in the 1990s, the Vulcan has become more popular than ever. The shamrock that can be seen on the front of the hotel was painted there by the Irish miners who lived in the town as a statement of pride to the Welsh miners who lived in the nearby mining settlement of Cambrian, which no longer exists. 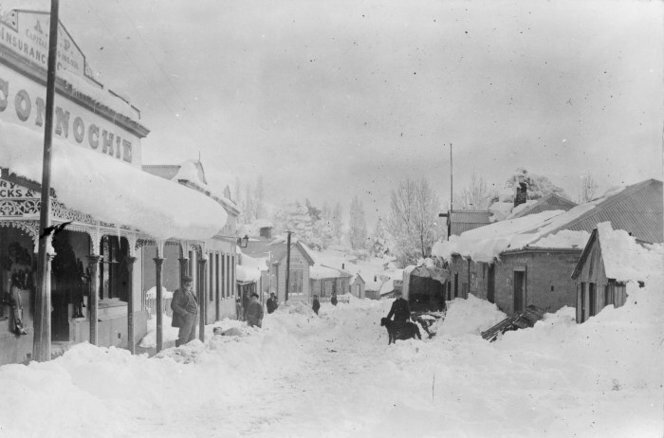 The rivalry between the two settlements became known as the ‘War of the Roses’ and many a fight broke out in the numerous bars that buzzed in both towns during the area’s gold rush. It was a lonely life for the various publicans who ran the hotel over the later part of last century. With poor roads servicing the town, there were few guests staying and there was little else to do in the tiny town, except drink! It has been a sad fact that more than one publican has been carried away from the hotel in an alcoholic coma. That’s all changed. There is now a steady flow of patrons. I think it’s a pity the old bar has been ‘updated’ to cope with the increase in business. I remember it in its original condition with a small, wooden bar with slightly grubby spirit bottles randomly displayed on shelves and the whole bar room smelling of the dusty hessian that covered the walls. A few paces up the street from the Vulcan Hotel, the equally fascinating old Post office has been recently refurbished. The two storied building is the first major structure you come across as you approach the town from the east. 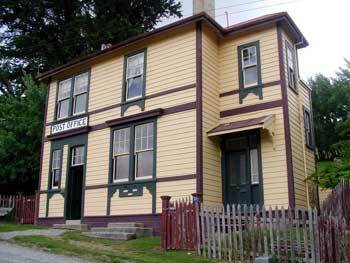 Built of precious native kauri wood, it opened in 1909 and closed in 1937. With more people now stopping to see the town, the lovely old building has been partially converted into accommodation. Next to the Vulcan Hotel, the St. Bathans Hall is another gem of a building. I remember it in a state of decay so it is great to see it has been restored and is another magnet for photographers. 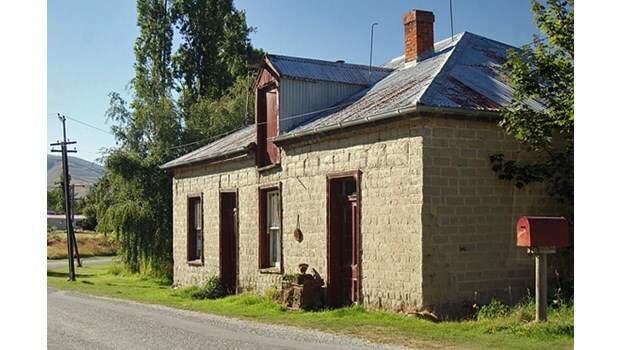 The Vulcan’s first publican built the hall as a venue for theatrical entertainment and it is the oldest mud brick hall in New Zealand. The hall was built with a sprung floor and the boisterous dances held there have become legendary. The Vulcan had to close its doors as the night progressed to slow the flow of alcohol and to force the males back to the hall to continue dancing with their female partners. 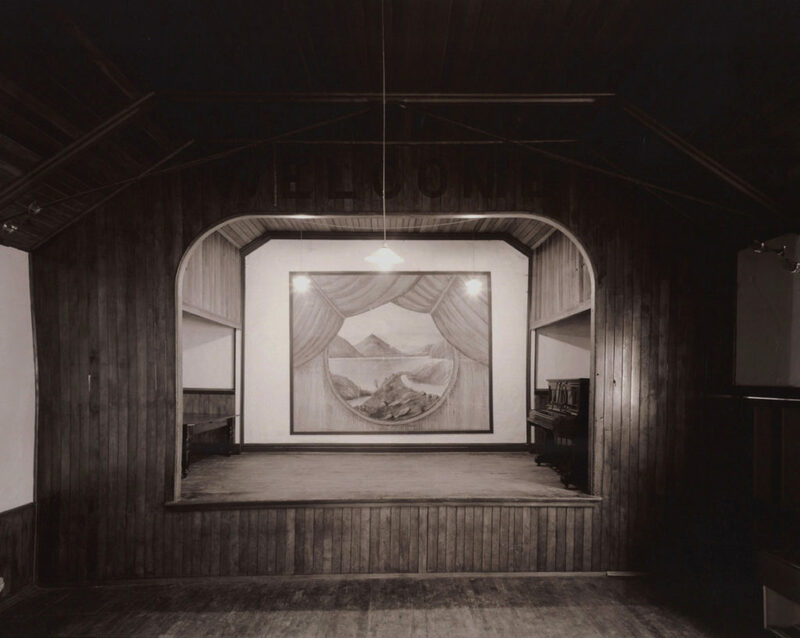 In 1876, a sizeable mural was painted on the hall’s back wall by a visiting German artist. Part of this mural is still visible today and gives a fascinating indication of the sensibilities of the period. The little Catholic Church is one of the few churches in New Zealand to have its own graveyard. It was opened in 1892 after the first building was blown down in a storm. The Anglicans also have a church in town. 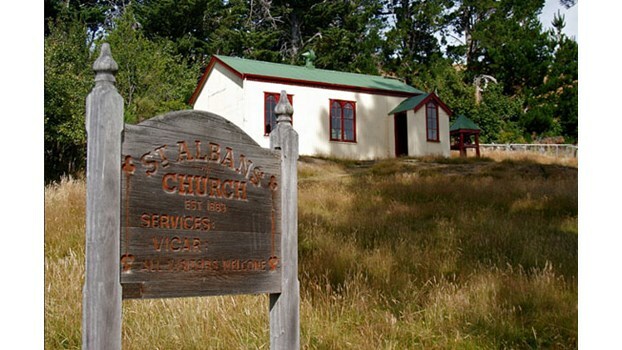 The current St Albans building was shipped out from England in sections after the first church was also destroyed in a storm. Constructed of corrugated iron sheets, the simplicity of the building’s design is part of its appeal. There are a number of picturesque ruins on both sides of the main street including the courthouse and the old school. 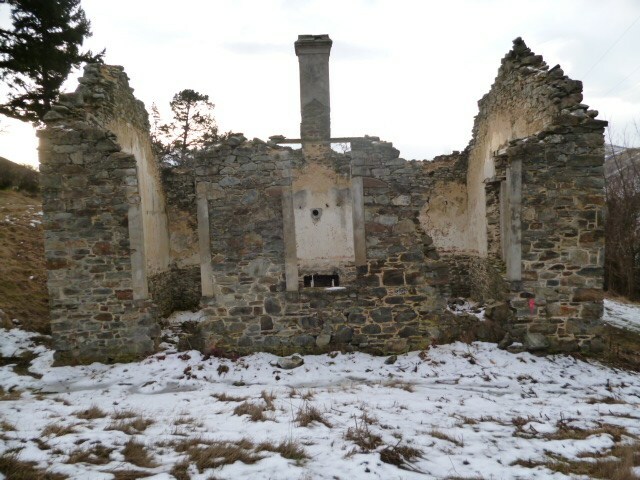 The haunted ruin of the little school is another special attraction in St. Bathans. Built in 1875, there were 40 pupils attending the school. The winters were so cold that the ink froze in the inkpots on the classroom desks. By the 1940s as people began to abandon St. Bathans, there were just 7 pupils at the school and in 1949, it closed forever. It is believed the ghost of a lonely teacher wanders around the silent ruin. I have also been told the ghost of a child believed to have died at the school, also glides through the ruins. I definitely felt I had invisible company the day I visited the melancholic ruin. 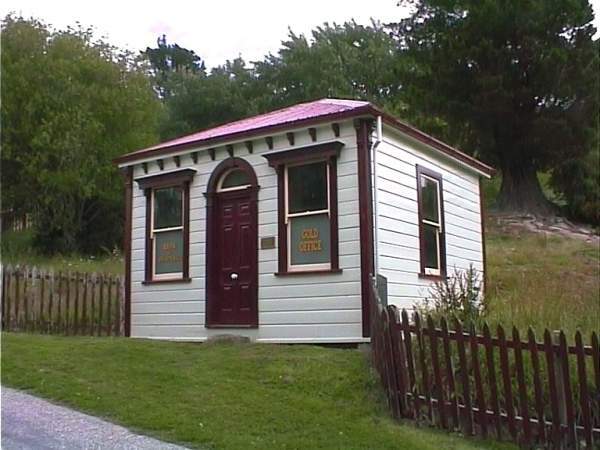 The quaint little wooden Gold Office was taken away in the 1970s but it was returned to St. Bathans a decade later and placed close to the restored stone built blacksmith’s forge. The Gold Office must have been a hive of excited activity when miners lined up at the end of the day to deposit their precious metal for safekeeping before it was escorted to banks in Dunedin. I’m pleased that the billiard room built of mud brick in 1881, has also been fully restored. It is one of the few remaining buildings on the lake side of the main street and has a very eye catching appearance. On my last visit to St. Bathans I ambled along the only street at sunset and immediately became aware of the special stillness in the little town. There was a silence that seemed to capture my soul. There was also a calmness that has to be experienced to be appreciated. Along with the Vulcan Hotel, the Blue Lake is the other major landmark in the town. It was formed between 1873 and 1902 by hydraulic sluicing the surrounding cliffs in the search for gold. Powerful water jets were used to transform a 120 metre hill into a 68 metre deep hole to form the deepest mining pit in the world. Over the years, this pit filled with water. To me the little lake lacks the grandeur of other South Island lakes, but it does have its own unique atmosphere that strangely holds the onlooker captivated. I’ve never seen anyone swimming in the mineral rich blue water or boating on it. It is as though nobody wants to disturb the stillness found here. Perhaps they don’t want to upset the ghosts that provide the extra fascination people have with St. Bathans. 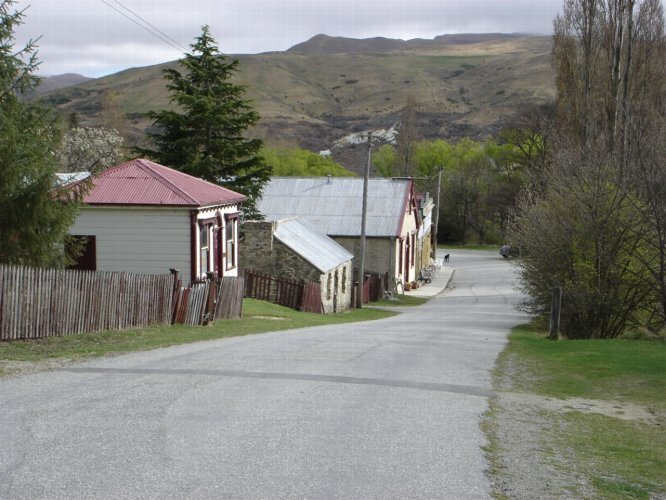 To me, St. Bathans is by far the most unique settlement in New Zealand. Its isolated location, dramatic surrounding countryside, extreme climate and soul enriching tranquility, is something I recommend everyone to experience – and of course, there are the ghosts to add a special dimension to this Central Otago destination. If you found this blog informative, let me know. Glad you liked the story Jenny. It is an amazing little town. What a fascinating story. I went to school with the current publican.